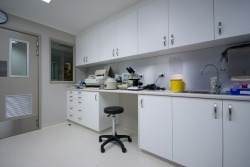 Our Clinic preforms both routine and more complex surgical procedures. 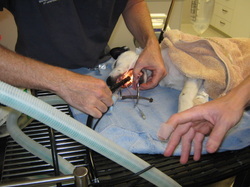 Everything from removing a toe nail to more difficult soft tissue and orthopedic surgical cases. Fractures, cruciates, tumor removal, dentals, hip dislocations - the list goes on. While most conditions can be treated at our clinic, we also offer referral to specialist veterinary practices for those more complicated cases. 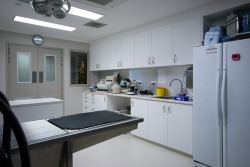 Our small animal medicine services cover the diagnosis and treatment of a range of different illnesses/conditions. Emergency cases such as : tick paralysis, snake bite, intoxications. Gastrointestinal disorders such as ; parvovirus, internal parasites, IBD, pancreatitis. Cardiovascular diseases : congestive heart failure in cats and dogs, heartworm disease. Respiratory disorders including : feline asthma, canine chronic bronchitis, collapsing trachea, canine cough. Musculosketetal disorders including; arthritis, polyathritis, joint infections. Endocrine disorders : hyperadrenocorticism, hyperthyroidism, hypothyroidism, diabetes. Reproductive issues : pregnancy diagnosis, ovultation timing, canine A.I. 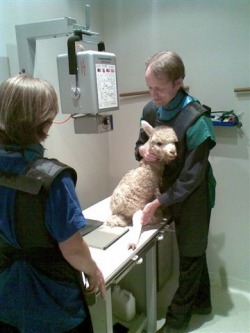 Plus general wellness issues such as vaccinations, parasite control, nutrition advice. 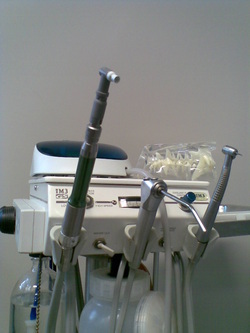 Digital radiography is used to enlarge and enhance radiographic images. 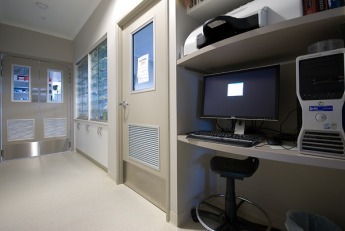 This allows us to see fine detail and we are able to send copies of the radiographs to referral centres such as specialists, other clinics and also to clients. We have the latest haematology and biochemistry machines that give us blood results within minutes. 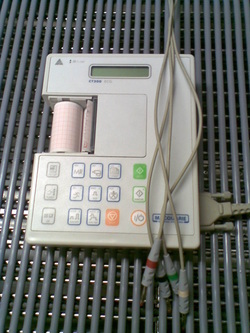 These machines help us in many areas of veterinary medicine. Whether it may be diagnosing a condition to running blood tests before anaesthesia or in those critical situations, they can help us save your pets life. The Ultrasound allow us to look at the chest, heart, abdomen and tendons. Valuable information is gained using ultrasound when investigating cases of heart disease, abdominal and/or chest disease and tendon problems. 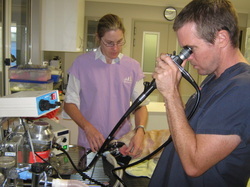 This machine allows us to look inside the abdomen to check on developing puppies and kittens and we are able to measure their heart rates - this can be a useful technique to use in the whelping process. 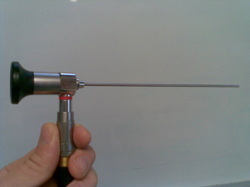 This small rigid scope is only 2.7 mm in diameter. We can look down the nasal cavity to investigate causes of sneezing and abnormal nasal discharges. It has on occasion been used to look into a bladder to see and collect bladder stones. 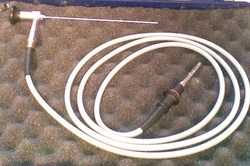 We have flexible endoscopes in a range of different sizes. We can investigate the the airway of a dog in respiratory distress or use it to guide our foreign body removal forceps to a bone in the stomach. They are used in horses to look for upper airway abnormalities , such as nasal tumors, roarers, guttural pouch infection. 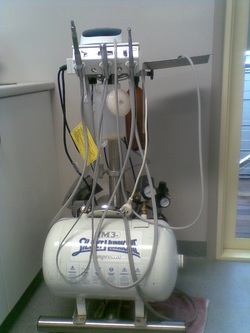 Our dental equipment is used to descale tartar from teeth and then polish them. The burs aid in removing teeth and their tooth roots.